Most of us in Red Sox Nation were either out on the town on a Spring Friday night—or fast asleep—when the Red Sox surged back from a 6-1 deficit last night to get their first 2019 win, 7-6. 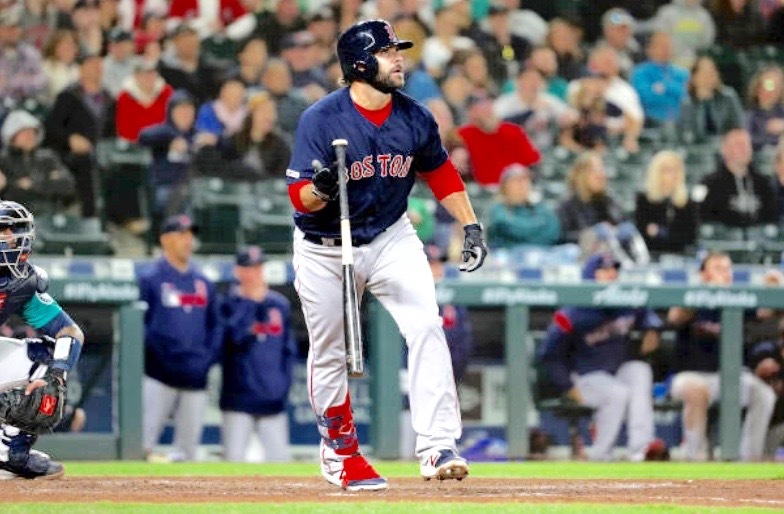 Mitch Moreland launched a ninth-inning, pinch-hit, three-run home run to put The Carmine Hose on top for the first time in the game. Nathan Eovaldi delivered the team's second straight crappy start—coughing up six earned runs over just five innings—including three solo home runs. Ironically, the benighted bullpen hurled four shutout innings—in succession from: Colten Brewer, Brandon Workman, Brian Johnson (who got the win) and Matt Barnes (who got the save). The comeback began with a majestic solo home run by J. D. Martinez in the sixth inning—making it a 6-3 game. The Boston offense was led by: (pinch-hitter) Moreland (1-1, 3RBI), Xander Bogaerts (1-3, HR), Martinez (1-4, HR) and Christian Vazquez (1-3, HR). The only Red Sox player to get more than one hit was first-baseman Sam Travis (2-3). The win no doubt calmed an emerging panic among The Nation, and leaves just 118 more victories to match the 2018 total.